"If providence tells me that I have only a few hours to live and is kind enough to ask me for my last wish, I shall beg to be seated somewhere near the King's College Chapel in Cambridge, gazing at its beauty, till death takes me away from it." "I'm sickened by people who do not seem to understand that the origin of the English language is England, not the United States; people who hate English accents or regard American English as superior to English English. Can we say German German, for example, is inferior to any other German? And if, in case, I had to entertain the possibility of truthfulness of such people's opinion, I would say English English is far more sweet, polite, charming, conscientious, decent, and natural than any of its possible rivals." "I remember my time in Cambridge, England... That serene, heavenly river; those grand, gorgeous fields and trees; those golden, majestic institutions; those decent, cultured, and friendly people; that great, glorious nation; that magnificent land of God... What's the world without England? What's life without her sensation?" "England is my heart, my soul. If I die, I want my soul to be wandering around her streets, quietly gazing at her beauties, marvels, and majesties." 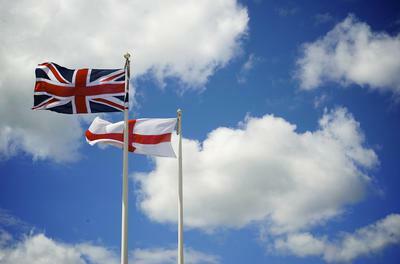 "Through England I have known love, through love I have known struggle, and through struggle I have known England." "England is the gem of the world, and I, as a citizen of the world, have every moral right and duty to adore and defend it." "Enemies of England, please be advised that mocking England is the same as spitting at the Sun." "I can fight the whole world for England but I can't cease to love her." "The world can never be in the state of right order, strong government, and good influence unless London is truly and literally established as its capital."